Would you trade an hour of pruning in late May for an extra three weeks of flowers in late summer? If so, you may want to try doing the Chelsea Chop! This pruning technique is used to control the growth habit and/or extend the normal flowering period of certain types of perennials. 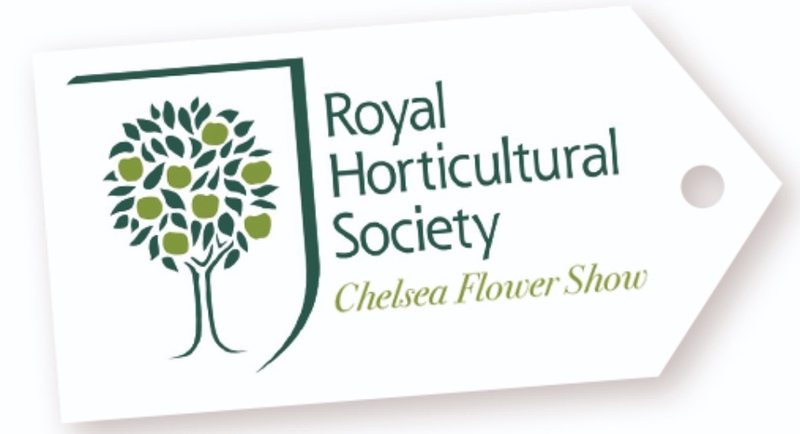 The name comes from England’s most famous flower show, which is held in late May, around the time this type of pruning should be done. 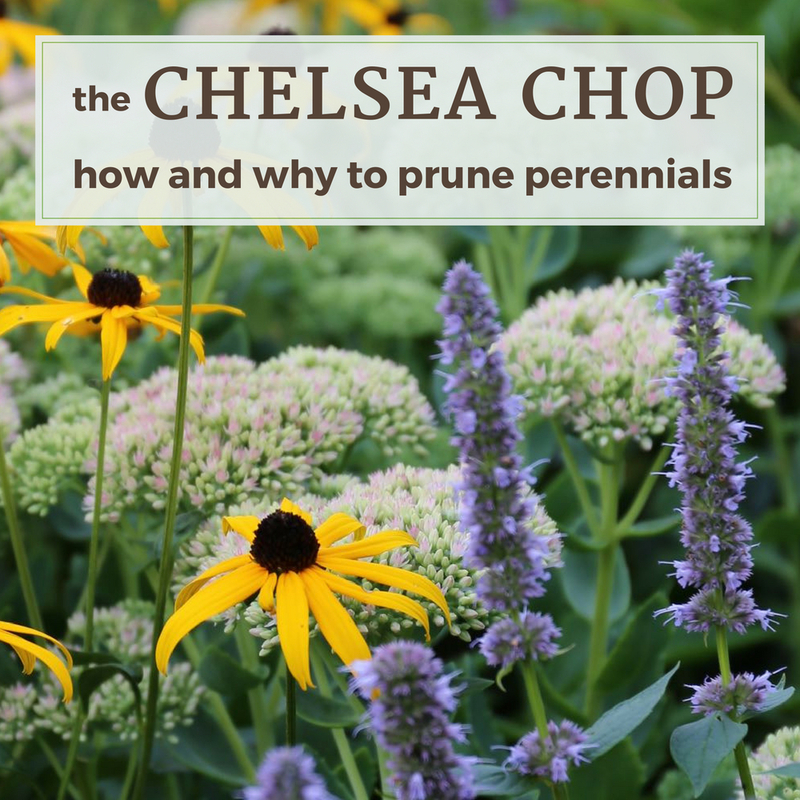 Only certain perennials are eligible for the Chelsea Chop. 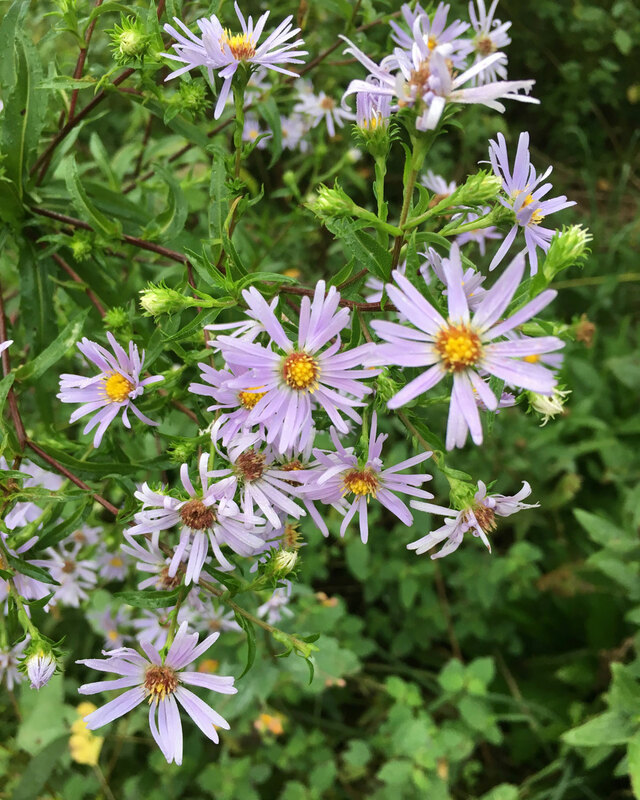 If you grow any of the following plants, read on to learn about the pro’s and con’s and make the cuts: Achillea, Anthemis tinctoria (golden marguerite), Artemisia, Aster, Campanula, Cranesbill (hardy geranium), Echinacea (coneflower), Eupatorium (Joe Pye weed), Helenium, Helianthus (perennial types), Iberis (candytuft), Monarda, Nepeta (catmint), Penstemon, Phlox paniculata (garden phlox), Rudbeckia (black-eyed Susan), Sedum (upright forms), Solidago (goldenrod) and Veronicastrum. The goal is to remove 1/3 to 1/2 of the stem. Generally, the idea is to reduce the plant’s height by about a third. This will encourage it to be bushier and bloom a little later than normal. Depending on the results you are after, you can either cut back the entire plant so all the stems are the same height, or only cut back about half the stems. If your garden is relatively small, all you’ll need is pruning shears or garden scissors. For a bigger garden it’s nice to have hedge shears. 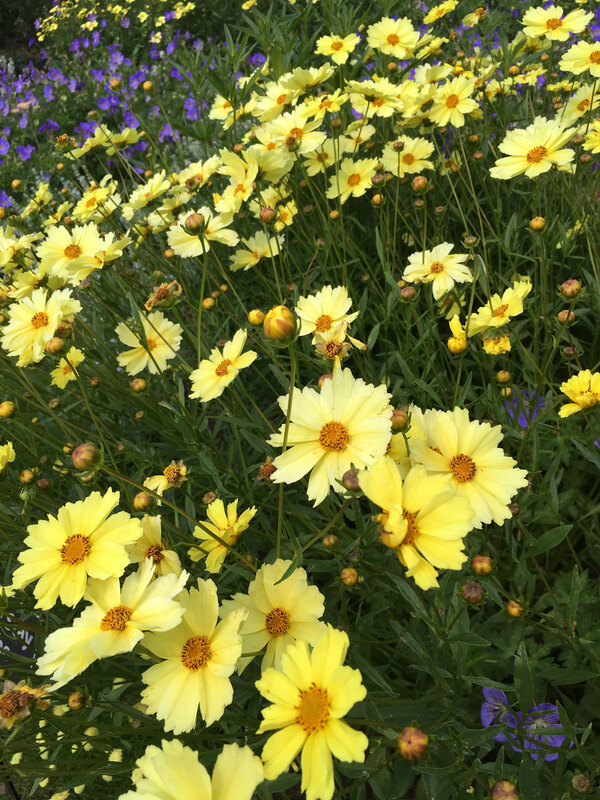 Coreopsis is a good candidate for the Chelsea Chop. If you have an established plant that’s grown too big for its allotted space, pruning in late spring will keep the plant shorter and bushier so it doesn’t overshadow its neighbors. Bloom time will be delayed by a couple weeks but having a tidier plant may be a good trade off. When the plant reaches about 1/3 of its ultimate height (usually by late May), cut all or some of the stems back by about 1/3. Good candidates for this treatment include artemisia, nepeta, upright sedum and anthemis. The Chelsea Chop delayed this helenium’s normal flowering time by more than a week. The upside was a stockier plant that stayed upright when it was in bloom. Giving tall perennials the Chelsea chop keeps them more compact so they’re less likely to topple over in late summer and fall. I find that plants such as eupatorium, helianthus, helenium and veronicastrum also look better when they are more in proportion to what’s growing nearby. For these plants, simply cut back all the stems by about 1/3. 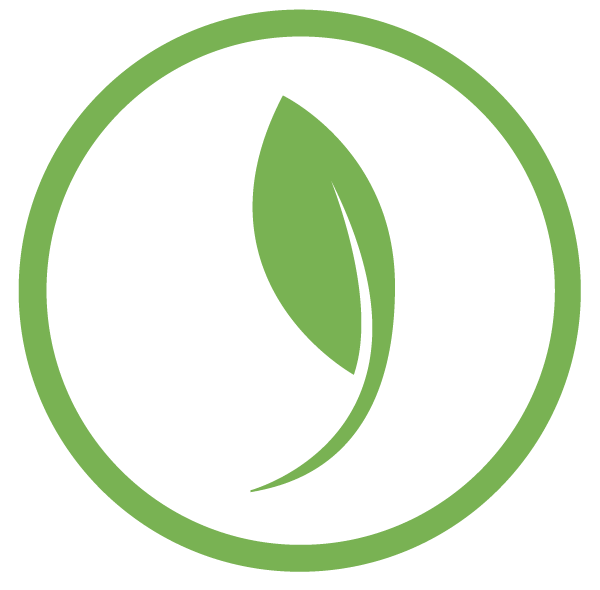 Timing should be as above, when the plant has reached about a third of its normal height. The Chelsea Chop can also be used to delay bloom time. This is something to consider if you’re trying to get flowers for a particular date, will be away during the normal bloom time, or want to coordinate flowering among several different types of perennials. Cutting back the entire plant by 1/3 in late May or early June will typically delay flowering by 2 to 3 weeks. Good candidates for this technique include coreoposis, phlox paniculata, monarda, heliopsis, nepeta, Shasta daisies, asters and helenium. A slightly different pruning technique is used to prolong bloom time. In this case, the goal is to create a layered effect by selectively pruning about half the plant. Use pruning shears to cut some stems back by 1/3 to 1/2. These pruned stems will produce side shoots and then set buds that open 2 to 3 weeks later than the unpruned stems. Pruning time and types of appropriate plants are the same as listed above for pruning to delay flowering. An important note. If you selectively prune perennials with the goal of extending flowering, it’s very important to deadhead the first flush of flowers. If you don’t, those spent blossoms will tell the plant to turn its attention to setting seed and it will not produce more flowers on the stems that you pruned back. By about the second week of June, it’s getting too late to do the Chelsea Chop. 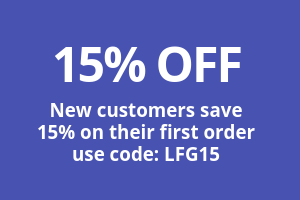 But don’t put your pruning shears away quite yet. Here are a few tips for plants that benefit from in-season pruning. 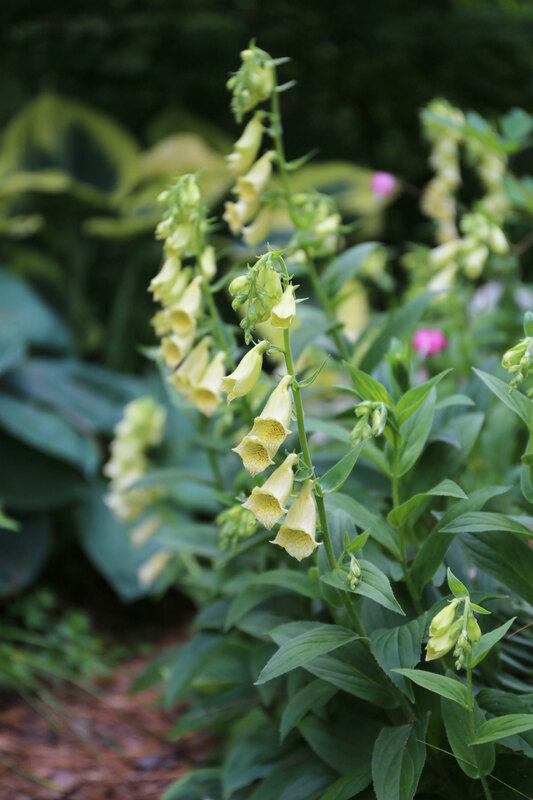 Plants including foxgloves, delphiniums, dictamnus and hollyhocks produce one or more primary flower stalks. After the blossoms fade, if you prune these stems back to the ground, you’ll sometimes get another round of flowers. 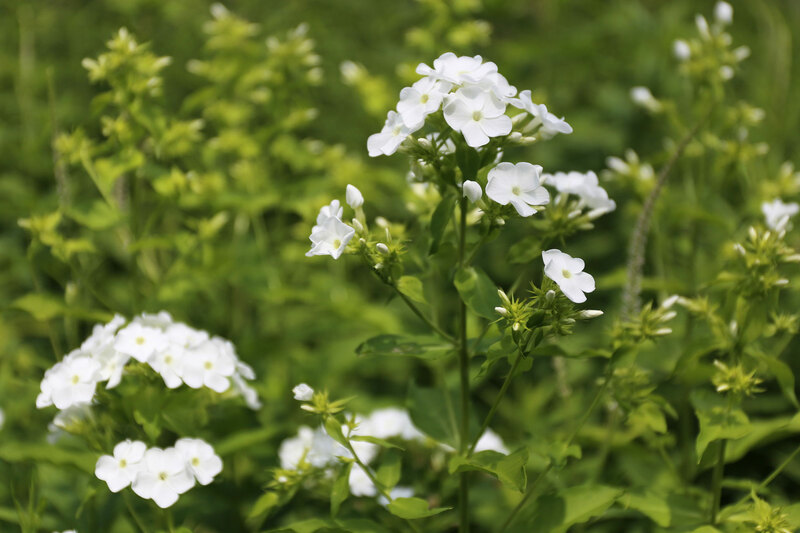 Even if the plants don’t re-bloom, removing the spent flower stems will look neater and help these perennials retain their vigor. Cut the stems close to the base of the plant, leaving the foliage intact. In addition to the plants mentioned above, you can also use this technique for lupines, daylilies and upright campanulas. 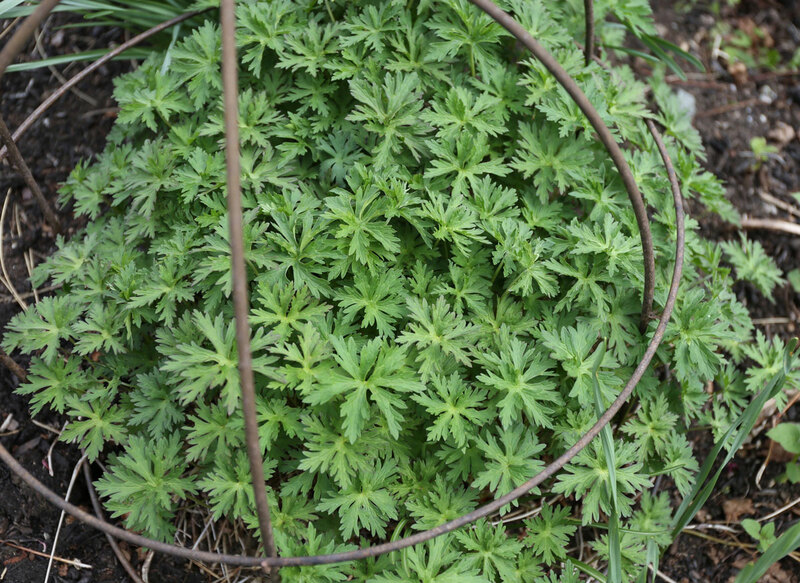 Perennial geraniums like ‘Johnson’s Blue’ tend to flop when they finish blooming. Shearing off most of the foliage will initiate a fresh flush of foliage, giving you a better-looking plant for the remainder of the season. Mounding perennials that bloom in early summer, such as cranesbill and catmint, often look scraggly by midsummer. 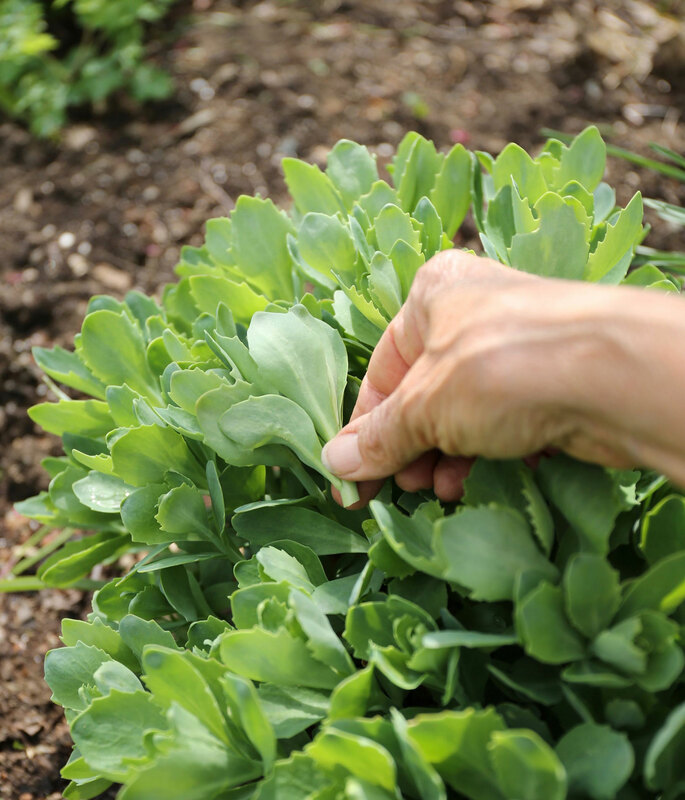 If you shear off the old foliage almost to ground level, the plants will quickly produce fresh leaves and may also give you a second round of flowers in late summer. 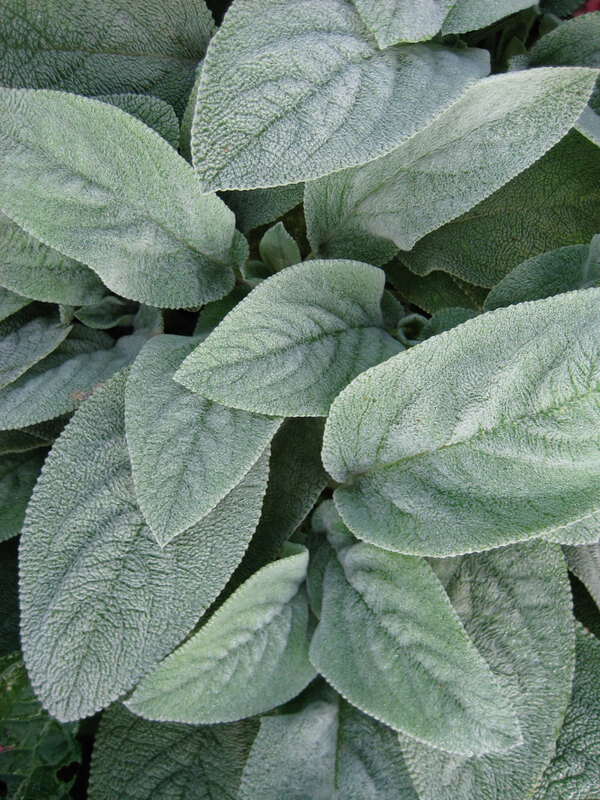 Plants such as artemisia and stachys are grown primarily for their foliage. To prevent them from flowering, trim off the buds before they start to open. Plants that get the Chelsea Chop may produce smaller flowers, but you’ll usually get more of them. The longer you wait before making these cuts, the later the plants will bloom. If you have a short growing season, do your chopping before the end of May. Make cuts using sharp, clean scissors, pruning shears or hedge shears. Clean cuts mean less plant stress and quicker healing. 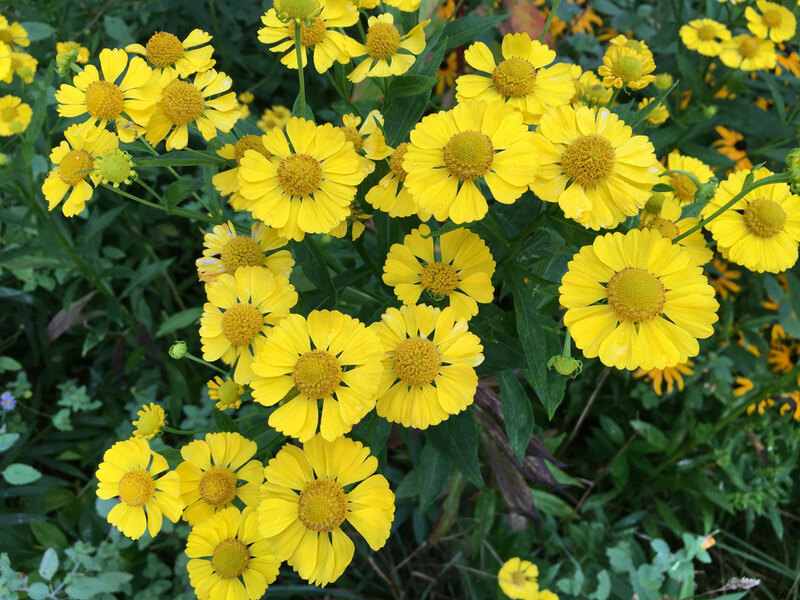 To learn more about caring for your perennial garden, read: Midsummer Maintenance Tips for Perennial Gardens and How to Select Perennials for All Season Color.